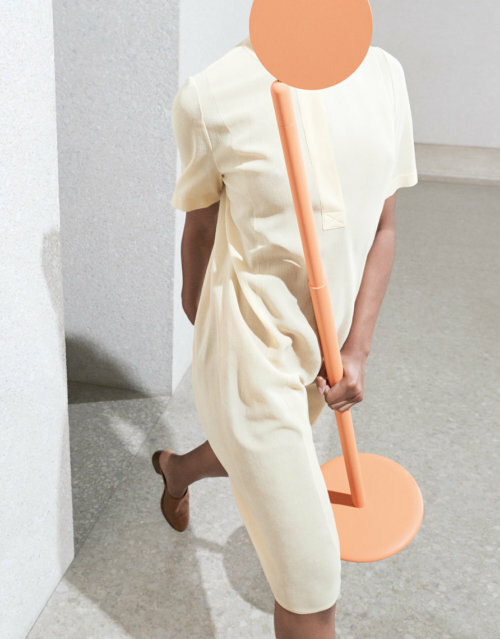 Artistic disciplines collide for lighting brand Tobias Grau’s latest advertising campaign. Two new portable lamps, Parrot and Salt & Pepper, have been brought to life by Timon and Melchior Grau, sons of Tobias Grau and now art directors of the German company, in collaboration with fashion photographer Alessio Bolzoni. 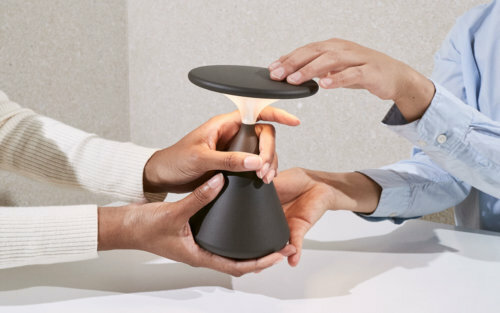 Shown at Frankfurt’s biennial Light&Building lighting fair in March 2018, Parrot is designed by Timon and Melchior, while Salt & Pepper was realised by Tobias Grau himself; both are dynamic additions to the German brand’s catalogue, they are lightweight, cableless and have a rechargeable battery lifespan of up to 100 hours. The brothers approached Bolzoni to translate these adaptable qualities in a photographic and video campaign. Having had stints at both Berlin University of Arts and now at Staedelschule in Frankfurt, the brothers combined this artistic background with Bolzoni’s mastery in the play with pose and posture as seen in projects for Christian Dior, Adidas, Louis Vuitton, and even Wallpaper* (see our Dress Code fashion story in W*172). For this unique project, Timon and Melchior bought their concept of ‘time is only movement’ – as seen in an exhibition at creative space Super in Athens where two people wonder around with no choreography – to represent the lights as free from restriction by personifying them and inverting the relationship between human and object. Berlin’s Neues Museum was the location of choice for the shoot, its architectural mix of classical Egyptian collections and a minimalist revamp from David Chipperfield in 2009 gave the lighting a layered backdrop, while Berlin-based musician Silvio added an ambient soundscape. The result is a combination of photographic compositions; the sculptural Parrot finds itself scaling up and down the entrance hall staircase, interjected with detailed views of a replica of Reliefs from the Parthenon in Athens. 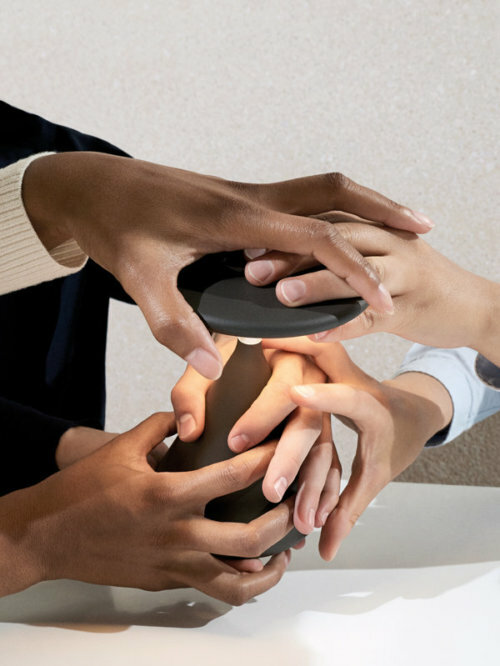 Meanwhile, the handheld Salt & Pepper is the centre of attention in its counterpart video, where its touch-sensitive warmDIM technology is experimented by a multitude of hands. Innovative and engaging, the campaign offers a contemporary visual gateway into product design and modern interactivity for consumers, the creative community and beyond.